After serving for 26 years as an educator, Pamela Moses was presented with her instrument of appointment on Friday, to allow her to serve as a member in the Upper House of Parliament. “As a young child, I grew up loving my country. I chose to stay and live in my country, and that is the reason why I want to be here and want to help develop my country. I want to help make a positive change in the present population and in the future,” said Moses after receiving her instrument of appointment from Governor-General Dame Cécile La Grenade on Friday, 1 July. Prime Minister Dr Keith Mitchell announced a cabinet reshuffle on Tuesday, one of the changes being the revoking of Sheldon Scott’s appointment as a senator and replacing him with Mrs Moses. She will be serving as Parliamentary Secretary in the Ministry of Youth, Sports and Religious Affairs. “I want to contribute toward the legacy of a generation, leaving positive impact on the people by maintaining high standards as we strive to develop ourselves as persons and as a Nation,” said the immediate past principal of St Andrew Anglican Secondary School. A resident of St Patrick, Moses as a teacher has had firsthand experience and observation about the challenges facing young people, and working with at risk youth is high on her priority. “I see the need for young people to be guided as we prepare them for their future and the future of this country,” said Moses, who believes that the young generations need to be encouraged to pursue the Grenadian dream. “In the past, a lot of our families went to the USA in pursuit of the American Dream. 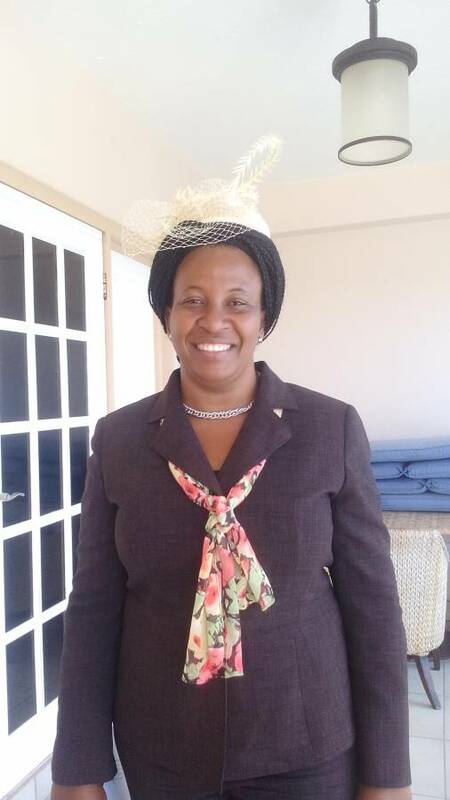 These days are different, and we now need to encourage them to pursue the Grenadian Dream, as we seek to develop this Nation,” she told the media in an interview after receiving her instruments to work along with Minister Roland Bhola, who will be tasked with heading the Ministry of Youth, Sports and Religious Affairs. Reflecting on the challenges facing young people, Moses said that she will actively coming up with a plan to work with at-risk young people, in particular boys, because from her observation some of these young people are lacking proper guidance, motivation, and a deep understanding of what is required to development themselves personally.